A while back, we received a random email from two dudes named Jeff and Dave who had an idea to ride their bikes across Lesotho (an extremely rugged and mountainous country) to raise funds for The Mike's Bikes Foundation. We see these offers often, and they rarely pan out. These two, however, are really doing it!! 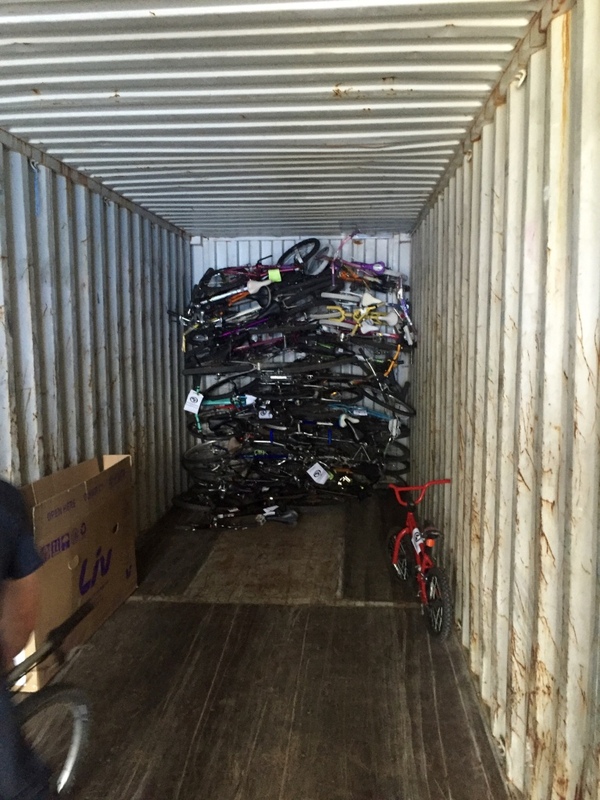 Their goal was to raise $20,000, which is enough to completely cover the shipping and import duties of an entire 40' container of donated bikes into Lesotho. Jeff and Dave have a specific focus on getting bikes directly to kids living in the outlying highland districts. We travelled through the Lesotho highlands last summer and we can attest to just how rural and rugged it is out there. We're thrilled that Jeff and Dave have chosen us to partner with, and we're so excited to see their progress, in both their fundraising and their journey. Their 9-day trek is planned for July 2013 and they'll soon be accepting donations. Please Like them on Facebook, help spread the word, donate directly to their initiative here, and if nothing else, send them some words of encouragement. Those mountains in Lesotho are no joke! Lesotho kids - they need some bikes! Raleigh Pledges $10,000 to MB Africa Projects. Help us Meet the Challenge! 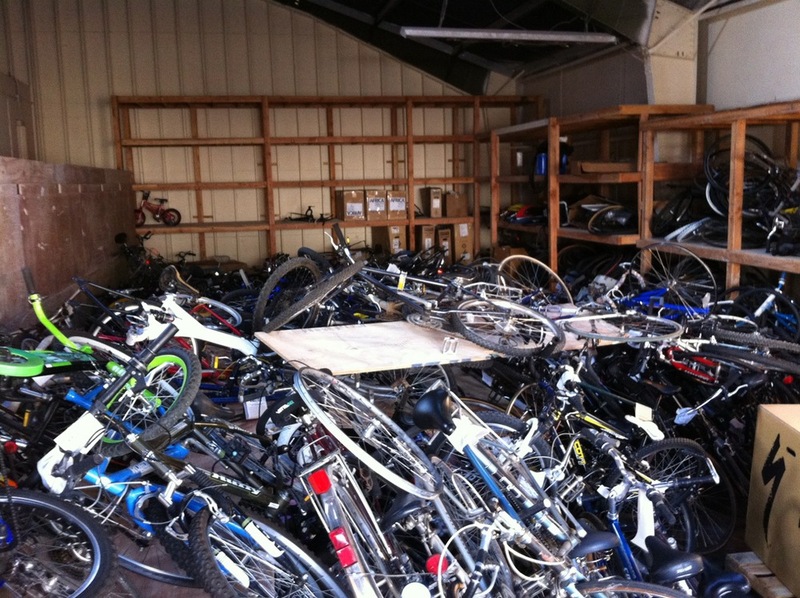 Our task: Sell 500 adult Raleigh bikes between April 1st and June 15th. If we meet this goal Raleigh will donate $10,000 to our Sister Shop programs in Africa. And with shop number four now up and running in Lesotho, our partners in Africa can certainly use the support. If you're in the market for a bike, it's the perfect time to check out a Raleigh. Help them help us, and don’t forget we’re always in need of your tax-deductible donation bikes too! 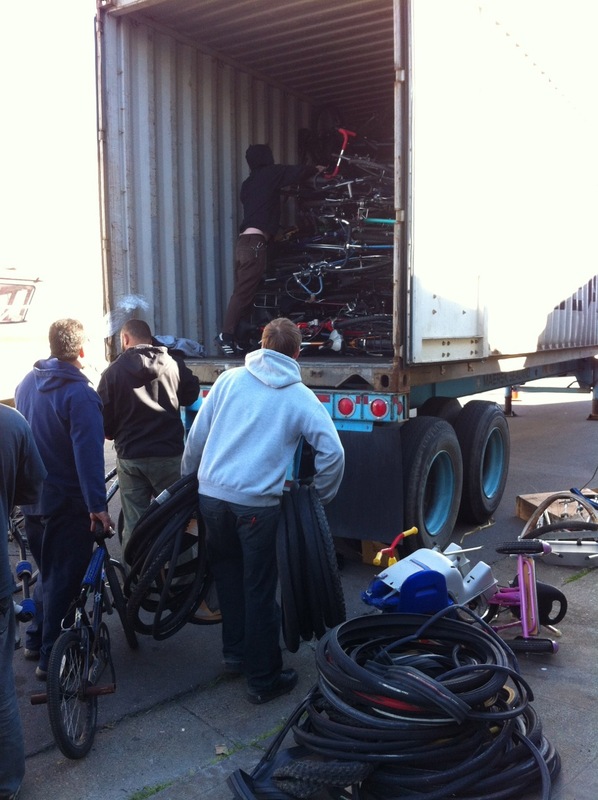 Thanks to the generosity of our customers, and Specialized Bicycles (who've provided a fleet of brand-new light cargo bikes), we now have enough donation bicycles to fill container #14 for our Africa Sister Shops. Demand on the continent couldn't be higher, as people from Botswana, to Namibia, to Zimbabwe, and now Lesotho, are snapping up affordable bikes to gain mobility in their lives. All are welcome to help load the container, or to just say hi and take a photo or two. Join us Thursday morning at 9am on 4/5/2012 at 24 Tiburon St. in San Rafael. Let it be known: Our friends at Specialized Bicycles have hearts as big as their bike-designing brains. Late last year they made the single biggest donation to our projects in Africa that we have ever received, and all of us here at Mike's are hugely grateful for their gift of bicycle-powered, well, empowerment. The first component of this gift was an entire 40' shipping container full of parts, accessories, and riding gear that was loaded up at Specialized's Salt Lake City warehouse. This was container #12 that we have shipped to Africa, and it was sent directly to our new distribution center Bicycle Recycle in Gaborone, Botswana. This sorely-needed equipment will be spread throughout our Sister Shops to help keep existing bikes running, help refurbish used donation bikes, and to help enable the local population to ride in greater safety and comfort. Having been familiar with our Africa Sister Shop program for some time, Specialized determined the most effective bike to donate considering the conditions in these developing communities would be a light cargo bike. When we agreed with this premise they shocked us by committing to donate no less than 100 of these bikes, brand-spakin'-new! 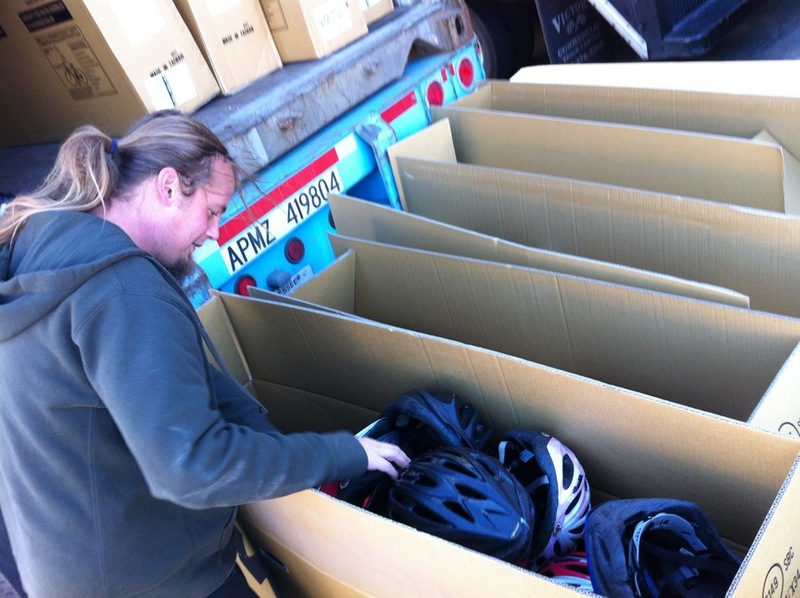 The cargo bikes joined our customers' donation bikes to fill Container #13, which was loaded at our warehouse in San Rafael. We could not be more thankful to have a partner in Specialized that not only produces the best bikes in the world for us to provide to our customers, but who also shares our belief in the power of the bicycle to make life better for those in need. Our friends over at Selfless Tee have whipped up this stylish t-shirt in support of our projects in Africa. 100% of the proceeds from the sale of each shirt go to directly to help fund our Sister Shop program. The best part is that the more shirts that are sold, the lower the production costs are and the higher the percentage of funding is to our projects. Pick up a shirt and support our efforts in style! Click to buy a tee or share it via social media.